Sarto’s, the social Italian eatery tucked inside the burgeoning Jefferson Park neighborhood, has made a number of changes since it opened nearly three-and-a-half years ago. So, earlier this month, we hosted a media dinner to showcase the restaurant’s evolution. 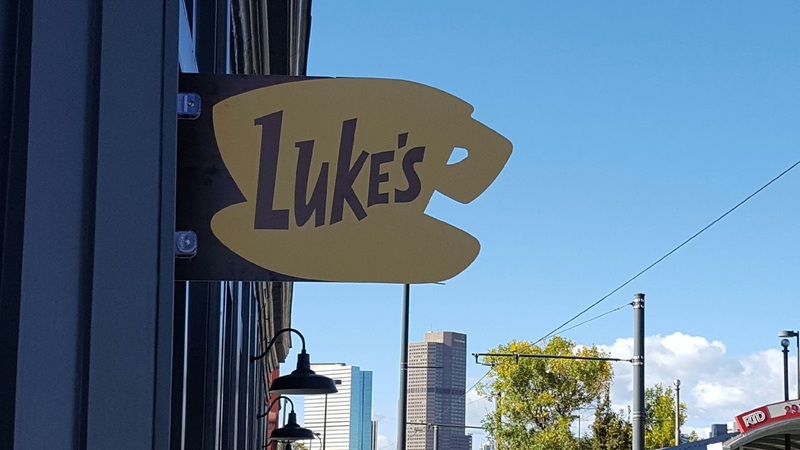 We drew a diverse group – some familiar with Sarto’s and others, newcomers – that included writers and editors for Denver Life Magazine, Eater Denver, Dining Out, Thrillist and the Denver Post. To highlight the restaurant’s diverse offerings, we invited our attendees to experience an abbreviated version of Sarto’s burrata-making class, taught by Executive Chef Garret Mayer. 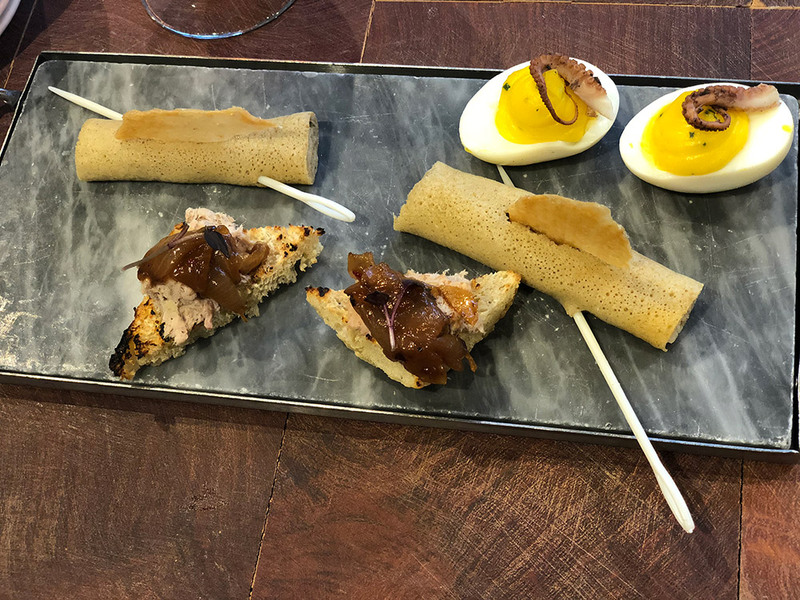 They also enjoyed a sampling of Sarto’s Cicchetti Bar – where diners can gather for cocktails and quick bites or snacks based on a board of options that changes daily. Our guests also spent time in The Pantry, a full-service Italian counter featuring hot lunch entrees, a variety of salads, fresh house-made pastas, sauces, pastries and truffles. The Pantry’s menu also includes beer, wine and cocktails and an array of grab and go options. Attendees agreed that with new residential developments popping up weekly in the neighborhood, The Pantry’s expanded options should fill a much-needed niche. 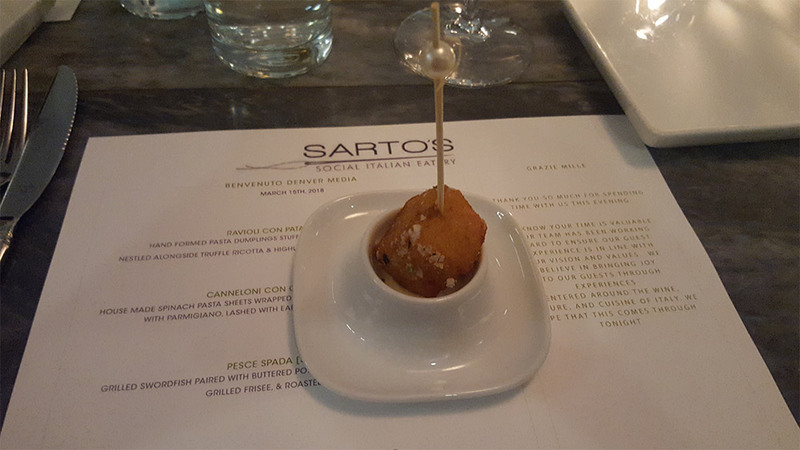 Of course, owner Taylor Swallow was eager to share some of his favorite picks from Sarto’s dinner menu, as well as some new offerings that will be featured in the months to come. Attendees were treated to a tasting menu that included a Gnocchi “tater tot,” Cannelloni Con Coniglio with juniper-braised rabbit and grilled swordfish. We were thrilled to have them dine in the restaurant’s Verona Room, a cozy private dining area that serves as the backdrop for Sarto’s Sunday night screenings, which feature a themed-dinner and movie. Throughout the evening, Taylor provided attendees with some background on the restaurant’s history and its unique name, which means “tailor” in Italian and is a nod to the building’s former use as a fabric shop and Sarto’s approach to dining, tailored to each guest’s desire. We had a great time educating our guests about Sarto’s, thanks in large part to top-notch service from Taylor and his staff. We believe the media walked away with a better understanding of everything the restaurant has to offer and a deeper appreciation for Chef Garret’s finely-crafted food. Check out some of Sarto’s positive reviews in Dining Out and Culinary Colorado. Since we frequently get inquiries from students interested in working as interns for The Stasko Agency, we thought it might be helpful to hear from our latest intern, Gracia Mboko, a senior at the University of Denver. Gracia will graduate in June with a degree in strategic communications. 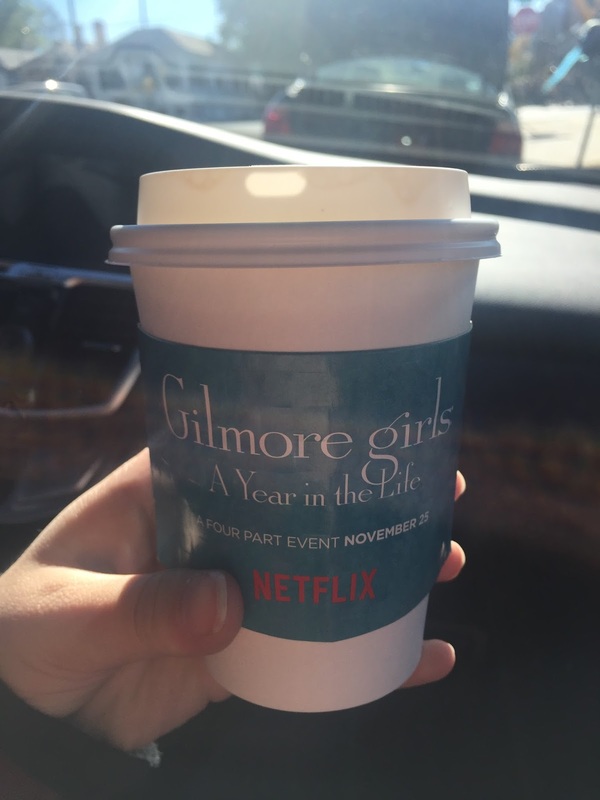 In the following post, she shares her insight about working with our firm. Working with Lu has been phenomenal so far. She is a great leader and encompasses so much passion and dedication to her business, which has been inspiring to see. I have gained a hands-on perspective into the world of public relations and publicity, and the various roles associated with this profession. The main task I was involved in throughout my internship was helping Lu rebrand herself and build an entirely new website. This was such an exciting project for me to work on, as I was involved in the decision-making process from the very beginning to the very end. Although it is still a work in progress, every week we have gotten closer to executing Lu’s vision. Prior to this task, I had used the website-building tools Wix and WordPress for class assignments. Let me tell you, the pre-built sites they feature, make website development seem a lot easier than it really is. 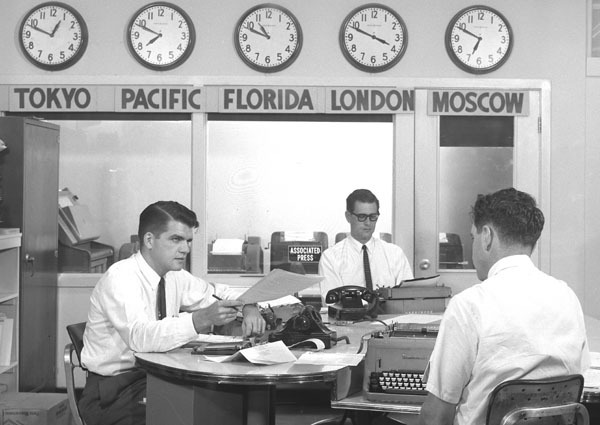 There are hours and hours of research, consultations and trial and error before you can put post anything up in the Web. A big part of building this site involved figuring out to ensure that it accurately reflected Lu as a person and captured the culture of her work through the content and design. Attention to details proved to be very important, because everything from choosing a website template, color palettes, fonts, and images plays a role in how the company is perceived and what it represents. A chief goal was to differentiate The Stasko Agency from all the other competing agencies in Denver, while staying true to Lu’s brand that she has established through her public relations work over the last two decades. One of the most valuable things I learned from this experience was the importance of relationships. Lu has built strong relationships with her clients, partners and colleagues. Seeing how robust these relationships are has been truly eye-opening. She manages several businesses outside of her agency, has tight-knit relationships with her family members, and is still able to make amazing things happen for her clients. Lu Stasko is the epitome of a superhero – she does it all! Working for Lu has been a great experience, and has helped me solidify the career path I want to take once I graduate. I am excited about the upcoming projects that I will be fortunate enough to experience with The Stasko Agency. I would like to take a moment to highlight some of our amazing clients. We are proud to announce our partnership with Aaron Stokes and his company Shop Fix Academy. Based out of Franklin, TN, Shop Fix Academy is an online, accredited, educational platform for auto shop owners and managers to learn the skills necessary to run their business. Aaron and his team provide their students with online video courses that cover a wide variety of management topics as well as marketing advice and employee management. Aaron owns four EuroFix and two AutoFix locations as well as hosting his own radio show in Tennessee where he talks about his first love, auto repair. Our work with Shop Fix Academy has garnered them recognition in several Auto Industry magazines including, MotorAge Magazine, Parts and People, Ratchet + Wrench and Tire Review. 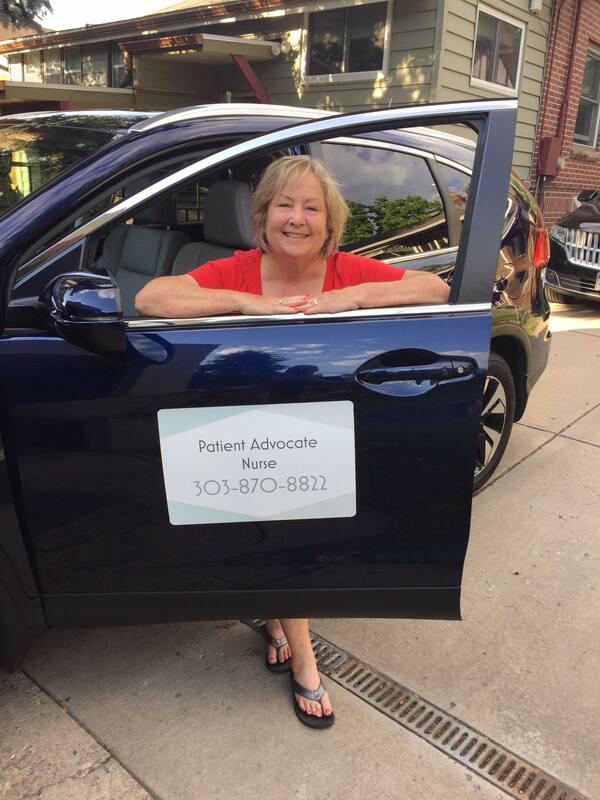 We helped launch PAN-Denver a Patient Advocacy Nurse program owned by Lisa Bushman R.N. After 30 years at Children’s Hospital Colorado, Lisa wanted to extend her reach further and started PAN Denver in July. As a Patient Advocate Nurse Lisa will be able to help the “Sandwich Generation” navigate the struggles of caring for their elderly parents or their chronically ill children. Lisa has experience working with doctors in many different specialties and would be able to translate difficult medical lingo, manage prescriptions and create detailed logs of doctor’s visits and hospital stays. Her work is so valuable to anyone caring for a loved one and we are so happy to be spreading the word about her valuable work. 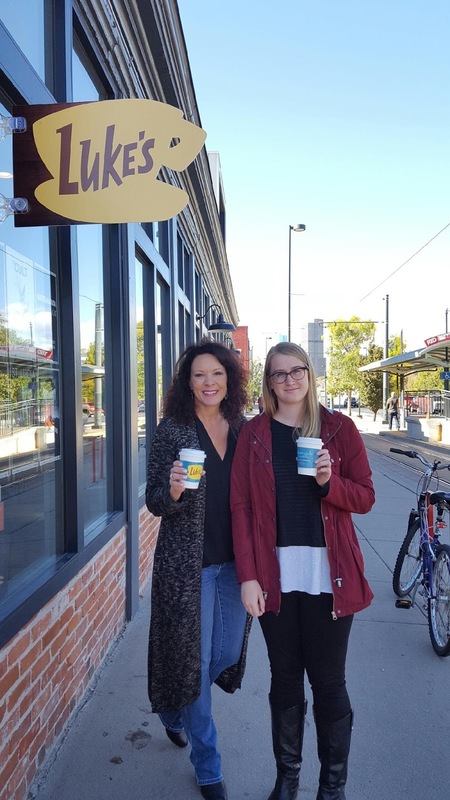 Lisa was recently interviewed for the Denver Business Journal and we are so excited to help her grow her business. Lisa Bushman and her new car decal for her newly launched business. 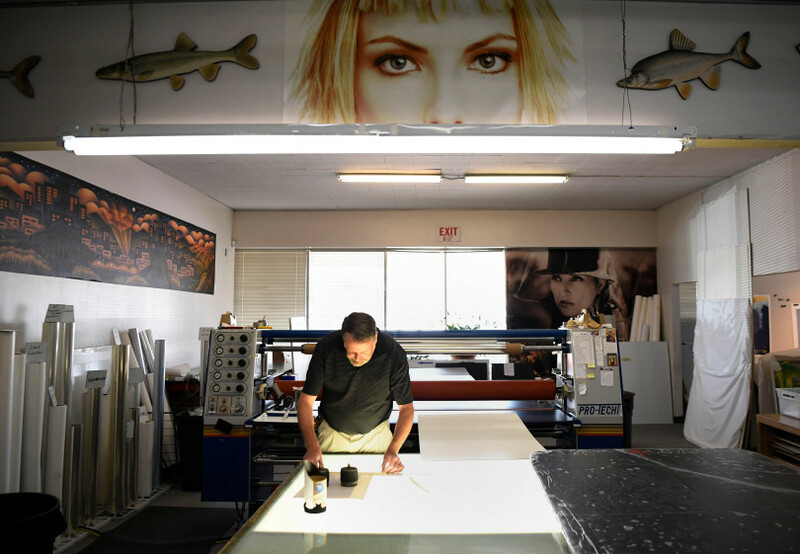 One of the highlights of our year so far has been our work with a long time Denver residents Reed Art + Imaging. At the end of last year, we were approached by their team to assist them with their struggles regarding the Federal Expansion Project. They decided to re-locate their business from Federal to the ever-growing 40W Arts District and we are so glad they did because their new space in the old Harley-Davidson building on Colfax is stunning and brimming with potential. Despite the hardships of being forced to move we are so happy to see something positive come out of this story and are looking forward to Reed’s Re-Grand Opening later this year. Another highlight of 2017 has been our continued partnership with the City of Wheat Ridge and the Wheat Ridge Education Alliance. Wheat Ridge High School has a fantastic STEM program that is a part of the Jeffco Public Schools Vision 20/20 program that helps students prepare for the work-force. The Wheat Ridge Transcript ran a front-page article highlighting some of the benefits of these programs. We are very proud of our work with Wheat Ridge schools and were excited to see where the rest of the year takes us. In the Fall of this year, Chef and Food Entrepreneur, Linda Hampsten-Fox will be opening her restaurant The Bindery on 1817 Central St. We are all very excited for the opening of her restaurant that will serve inspired eats, morning, noon and night with an urban marketplace atmosphere. We have been working with Linda to garner press for her opening as well as some of the events she’s hosted leading up to it. 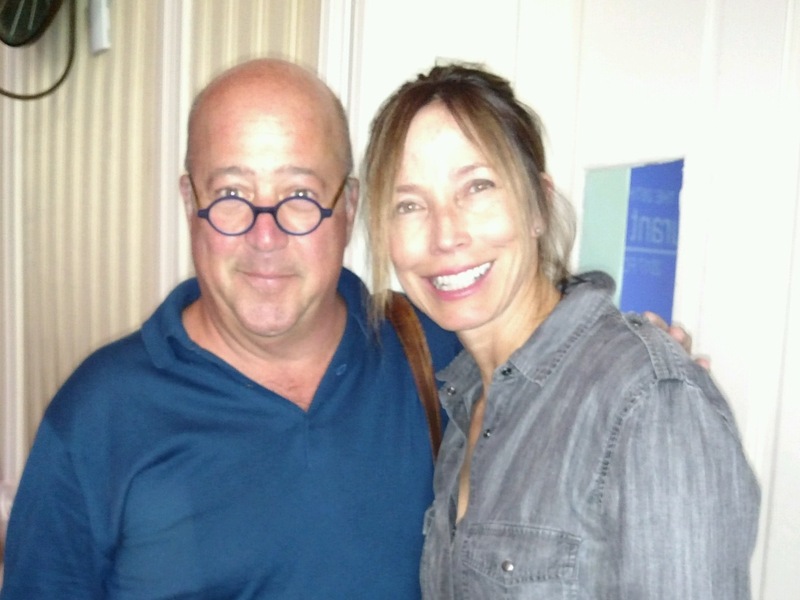 A highlight was Linda speaking with celebrity-chef Andrew Zimmern at the Aspen Food and Wine Festival. We have so many other fantastic clients that you will be hearing more about over the coming months. We look forward to providing our readers with more content, thank you as always for your support. Summer Update: What we have been up to! In July, we had the opportunity to help introduce Colorado to Open Blue Cobia, a sustainable fish farm located off the coast of Panama. 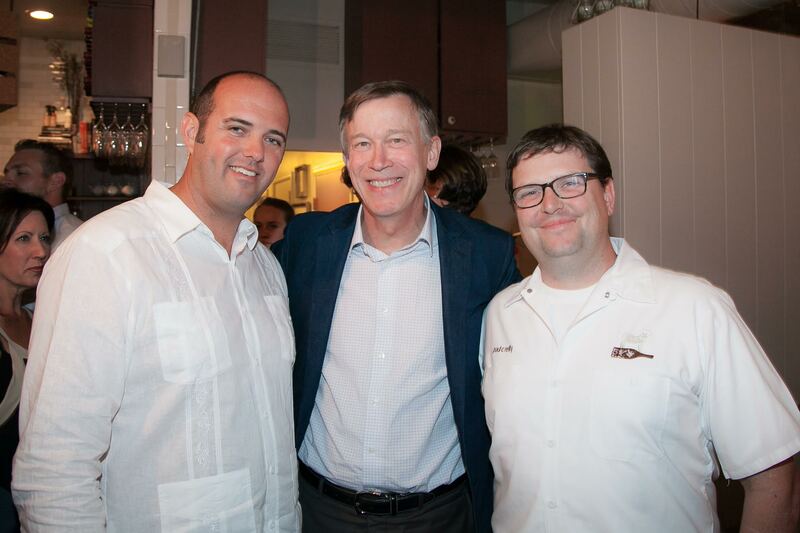 We hosted a well-attended event at Denver’s own Beast and Bottle with special guest Governor John Hickenlooper. 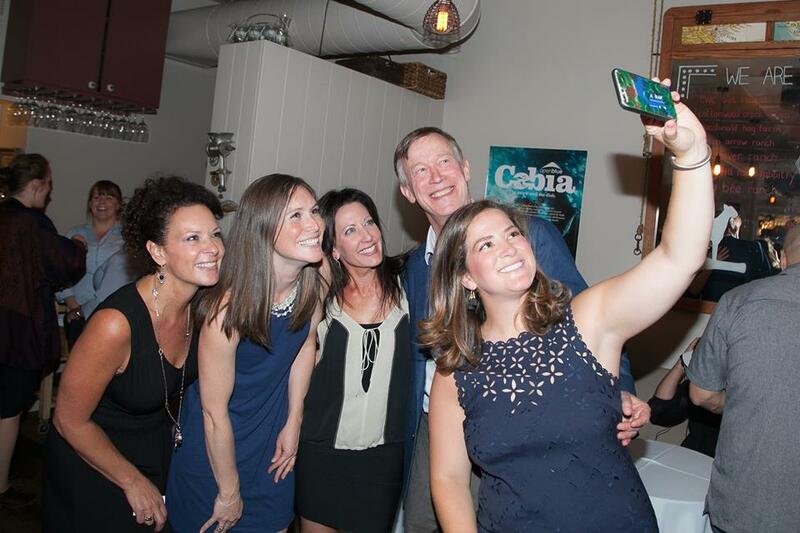 Governor Hickenlooper was first introduced to Open Blue Cobia at the Biennial of Americas and had the opportunity to visit the farm in Panama this past year. Open Blue is the world’s largest deep-water, open ocean fish farm and the largest supplier of Cobia fish. The event served as the official launch of Open Blue Cobia in Colorado, which has embraced the sustainable fish. In addition to Beast and Bottle, Open Blue Cobia can be found at Mercantile Dining and Provisions, Bittersweet and Panzano. The fish can also be purchased at Tony’s Market in the Denver-area, Clark’s Market in Snowmass and Divine Fish Market in Montrose. The special menu included: Cobia Ceviche, Cobia Unagi and Pickled Beet and Cobia Salad. 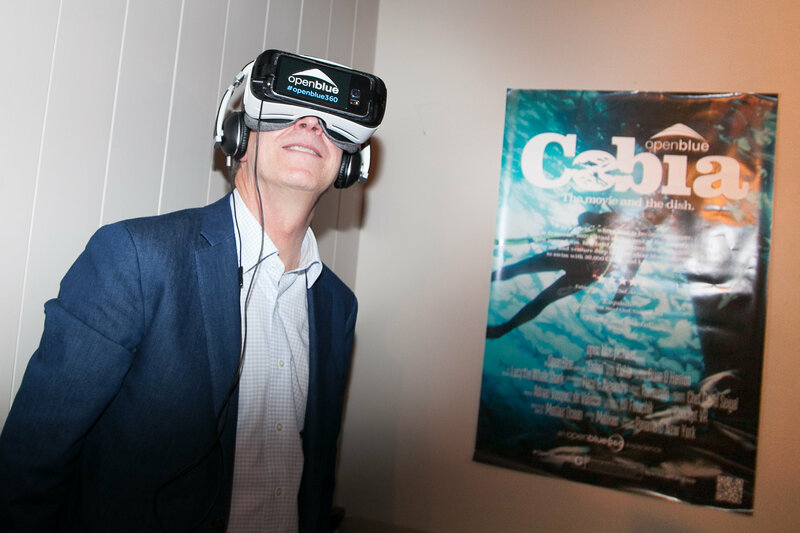 Guests also enjoyed a special virtual reality (VR) experience that allowed them to dive into the world of the Open Blue Fish Farm both by air and by sea. 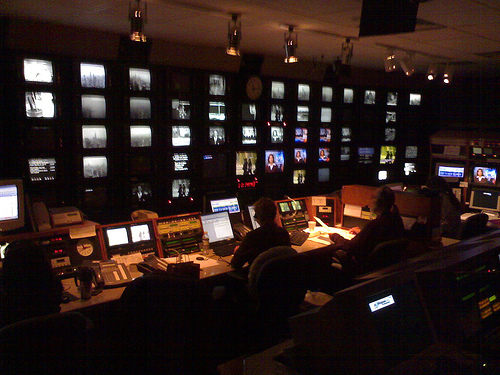 Open Blue was featured in a segment on Fox 31 Denver. 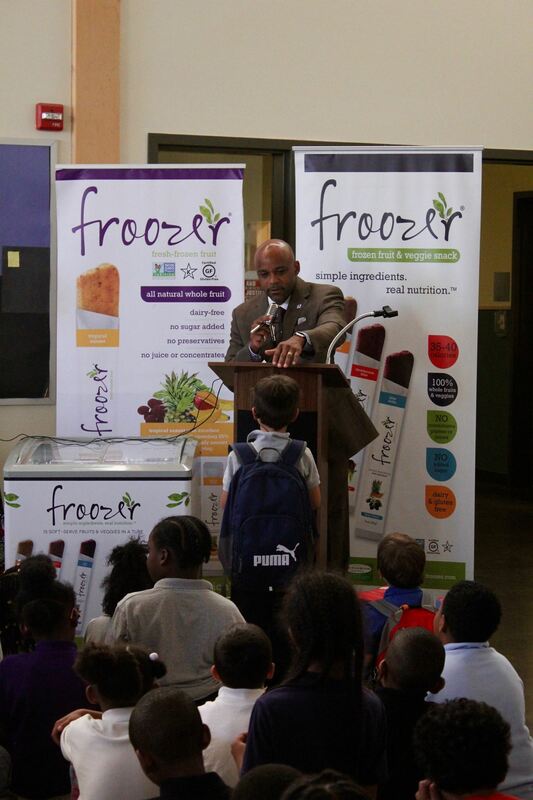 In September, we helped the frozen fruit snack company Froozer launch its Froozer Fuels Fund, a campaign designed to help address the issue of childhood hunger. 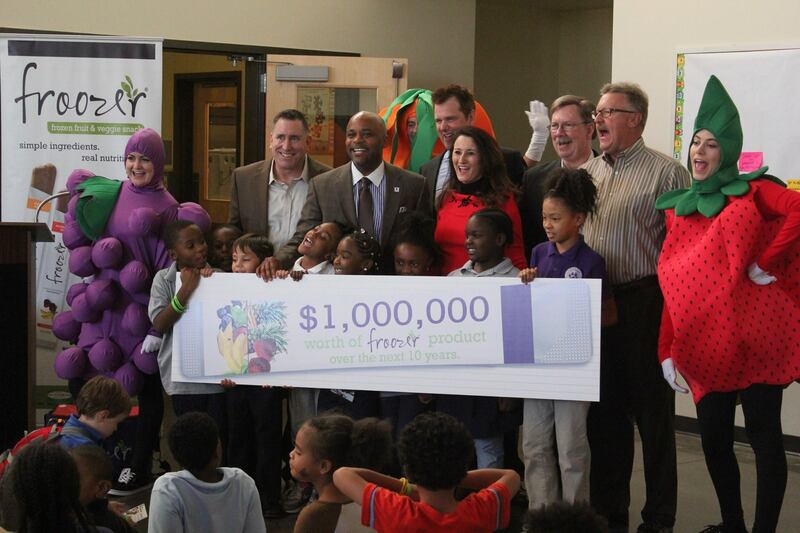 To kick of the Fund, Froozer pledged to donate up to $100,00 of product per year for the next 10 years (for a total pledge of $1 Million worth of product) to Food Bank of the Rockies in support of their partnership with the Boys and Girls Club’s Kids Cafe program, which provides healthy snacks to children in need. The Stasko Agency coordinated a press conference at the Vickers Boys and Girls Club in northeast Denver with special guests Mayor Hancock and entertainer DJ Cavem. Participants in Boys and Girls Club after-school programs attended and had a total blast trying Froozer’s healthy snacks. 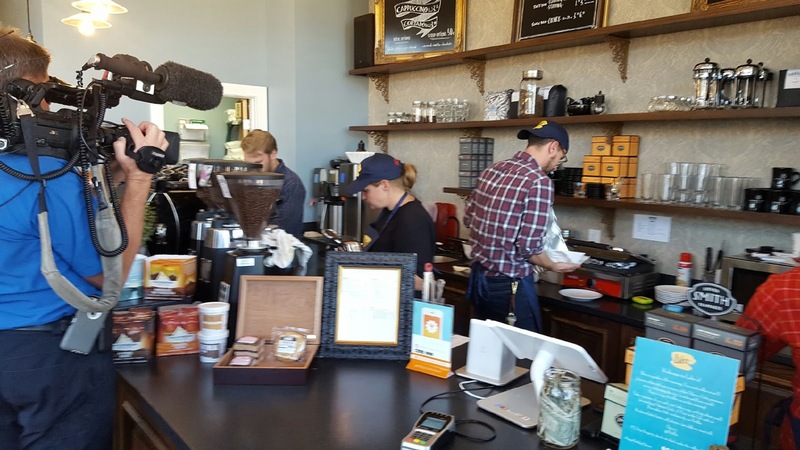 Froozer was featured in a segment for Fox 31’s Colorado’s Best with Paula Haddock and Joana Canals. Paula also included Froozer in a Facebook LIVE video which has a special cameo by The Stasko Agency! We look forward to working more with Froozer in 2017! https://www.staskoagency.com/wp-content/uploads/2016/12/13872838_10153903480747239_7814124984385832784_n.jpg 640 960 Stasko Agency https://www.staskoagency.com/wp-content/uploads/2018/03/stasko-logo-dark-sm.png Stasko Agency2016-12-16 23:35:492018-03-07 06:58:36Summer Update: What we have been up to!